Can you really put colonists on Mars by 2023? An entrepreneur named Bas Lansdorp seems to think so. As the CEO of Mars One, he is enlisting top names and companies in the modern aerospace world to put ordinary people like me on Mars to begin the process of forming permanent settlements. Of course, I applied and I hope to hear by the end of October whether I made it to the next round of selections. That's the first question I usually get from people. Why bother expanding space efforts when there is so much crime, poverty, illness, and so on? The list of social issues that many individuals want to spend the money on would extend to about the length of the Saturn Vs used to send men to the Moon. The simple fact is that social issues are never really going to go away. I don't even expect to find Utopia on Mars once we have a colony with a sizable population. It's just human nature. However, I'm sure that most of us know that Earth won't last forever. There are enough nuclear weapons in arsenals around the world to deep-six most of the life on this planet. An asteroid of the same size that wiped out the dinosaurs could have Earth in its crosshairs. Our population stands at 7 billion humans and counting and we're using Earth's resources at an alarming rate. Colonizing Mars will give humanity a chance to survive when the worst happens. The cost estimates of Mars One's plans stand at $6 billion to put the first crew on Mars. That's not even a significant fraction of what the war in Iraq cost. This is about as far as I sympathize with people who say that the money could be better spent on social issues. Imagine how many meaningful, skilled jobs could have been created if NASA could have received the money spent on Iraq and used it to put a permanent base on Mars. This would have helped reduce poverty and improve the economy. Private organizations can pick up the slack and raise the funds to expand throughout the solar system. This was a discussion panel for the "Million Martian Meeting" held in Washington, D.C. in early August 2013. Why did I put my name in? Well, this is pretty complex. I've been an article writer just about forever. When you read that product description for the wedding bands you're considering or find a blog article with useful tips on prolonging the lifespan of your wood-burning fireplace, I could have written it for a few dollars. I'm also a bit of a geek. I majored in computer networking in college and I'm also learning how to use a 3D modeling and animation program called Blender. So I suppose it's a matter of what I have that a million zillion other people don't have. Maybe part of it is courage. I recognize that there is a risk that something catastrophic will go wrong and I'll have a painful-but-quick death. 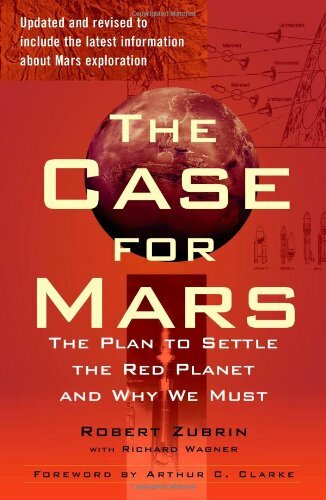 I know that Mars One has no plans for returning the colonists to Earth. I've even read the articles written (or maybe ghostwritten) by other bloggers saying that it's an obvious scam and applicants like me are a pack of fools. However, I look at the benefits along with the risks and I see that there are numerous positives that make it worth the one-way trip. I've always supported space exploration in the sense that I would have preferred that more tax dollars go to fund new efforts and signed several petitions to that effect. I've noticed that it's one thing to say that you support space and quite another to strap yourself into the top of that rocket. Not very many people are willing to sit on top of what amounts to a hopefully controlled explosion. Am I crazy? Maybe, but now I have the chance to roll up my sleeves and participate. This isn't the kind of opportunity that I can pass up very easily. As for spending the rest of my life on Mars, it really doesn't bother me all that much. It's a dusty, apparently lifeless planet without much of an atmosphere. I'll be confined to a living space that's not much bigger than the average house with only a few other people most of the time. Try locking yourself into a cabin with three other people and see how long you last. Obviously, it's not for everybody. However, for me, such a lifestyle is attractive because I actually enjoy solitude and routine and the occasional challenge of solving a mental problem with a time limit. I will also theoretically like the people I live with. So a lifetime on Mars can be a good thing. If I am selected, I will be participating in a spectacular adventure that will be caught on video. The organization is using the sale of media rights to help fund the project. They see it as a source of revenue to pay the bills. I see it as a way to educate the general public about the inside world of potential colonists. Reality TV just got that much more intelligent. If it was about getting those fifteen minutes of fame in, I could take the easy route and try out for “American Idol.” That's not my style, and anyway, my agenda will make use of the attention the colonists will get. My goal is simply to get to Mars and prove that it is possible to colonize so that I can inspire others to follow. When it gets down to it, the first Martian Colonists will be a good inspiration for ordinary people who want to do something significant with their lives. Something within each of us insists that we could be the one who climbs Mons Olympus or finds a fossil of an ancient Martian insect if only we have the opportunity to do so and the courage to seize the chance when it comes. For me, that is the biggest reason to be one of the first few to colonize Mars. It's really not about me. I'm not arrogant enough to even fool myself about the odds that I'll actually be selected. I'm one person out of the 165,000 who actually applied and it would be fairly foolish to think that there aren't candidates who are just as determined and maybe a little more capable than me. So it's not like I'm going to be one of those drama queens who manages to hang on for way too long on so many reality shows. I'm just one of the lucky ones who have the good fortune to have a chance at becoming one of the first on Mars and the courage it takes to pounce on the opportunity.